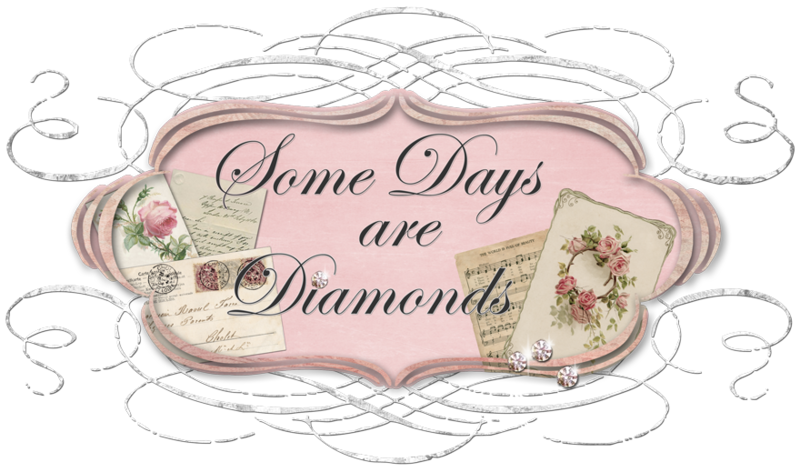 Some Days Are Diamonds: Having a ball! First off . . . we have slower than slow internet connection. I am not even going to attempt any pictures cause it just took me over 6 minutes just to LOG IN to Blogger. UGH! Apparently the park put in this great "whatever" and it has crashed and BURNED! But while I had a signal just wanted you all to know we have arrived and THIS IS WONDERFUL! I thought Montana was green? Nothing compared to here. Downfall? GRASSHOPPERS! Everywhere! I am sooooooooo not a bug person. LOL. Positives! Beautiful, beautiful country. My GOSH! But the down side is it makes me sad when I think about the history here. We went to Kevin Costner's "Tatanka" museum and I was speechless. Dances With Wolves is one of my very favorite movies, and to see so much of that movie up close and personal was awesome. But the history that he teaches you . . . my God, what we did to them, and the Indians, and then claimed "victory" just makes you embarrassed to be a "white man". I know, it's history, we cannot change it, but still. . . I have always wished for a way to help the Indians: the people, their culture, their religion, their way of life, their land. We just literally cast them aside. I wish people in high places would focus on our own country, instead of Africa, and Iraq. We have such a need HERE! Today we are riding through Spearfish Canyon, down through Deadwood, then up to Belle Fourche and back into Wyoming to Alladin and on up to the Devils Tower. Then back to camp and hopefully I am being taken out to dinner tonight. (hint hint). Yesterday Joy and I went antique shopping and I was VERY disappointed. Prices here are almost higher than at home! We each picked up a few things, but no dress forms! The hunt continues! Tomorrow is all of Mt. Rushmore and Crazy Horse. I cannot wait!!!!!!!! We will not have nearly enough time here to see it all. But - I am thankful for any time here at all. What gorgeous country! I am in love!! All the wildlife. The wide open spaces!! All the SKY!!! It has been just a wonderful trip so far!!! And NOPE! Not a single solitary drop of rain the entire trip!!! WHAT'S WITH THAT? Don't know when I'll be able to post again. Maybe somewhere in Nebraska on our way down to Colorado. Everyone take care and I will be in touch! Signing off - literally - from Sturgis So Dakota! :) Hugs everyone! I'm glad you made it to Sturgis safely and are enjoying it so much. I too, love Dances with Wolves (and Kevin Costner). You should of stayed in Utah longer, boy, did we have rain...and lightning and thunder. It really sounds beautiful there, some day I would love to see it. I didn't know you were looking for a dress form. Well, ride safe and I hope you get to post again soon. Welcome to my world of slow internet. lol. Glad to hear you all are having fun! I know it is beautiful out there. Of course it has been many years since I have seen it. I LOVE Dances with Wolves... also one of my favorites. Take care and enjoy the beauty along the way! Oh Karen, I wish I was a stow away. That's one part of the country we have not been to--yet. I'm sure it is as beautiful as you describe it. Enjoy your time and safe travels. Can't wait to see the pictures, you make me dream again ! Glad to hear you are having a good time and made it to Sturgis okay. Can't wait to see photos. I would NOT like the bugs either!! what a cool and interesting vacation! thanks for sending this post-card! I'm so glad you're having fun! Blogger itself seems to be having problems, I've noticed. I come from Oklahoma, where it is rich in Indian history. My son-in-law (oldest daughter's husband) is one quarter Indian. So my two grandchildren are one-eighth. Be safe now! too bad you can't upload the pictures because i'm sure they would be amazing. i've only been up there once (mt. rushmore) but want to go back some day. what did you think of spearfish? my dad, who lives in so. cal., is planning to move there next year. he's in love with it. if he ever makes the move, i'll have a reason to travel up there.